You'll love this Latin Caribbean take on lobster ceviche. Steamed lobster meat is marinated in a luscious blend of coconut milk, citrus juices, chilies, and ginger. The lobster is served with a wonderful pico de gallo made with mango, red onion, bell pepper, cilantro, and mint. In a nonreactive bowl, mix together all of the ceviche ingredients except the lobster, season with about 1 teaspoon of salt or to taste, cover, and refrigerate. Meanwhile, in a large pot, bring at least 6 quarts of salted water to a rolling boil. Add the lobsters, cover the pot, return the water to a boil, and cook the lobsters for 7 minutes more, or until the shells are bright red. Do this in batches if the pot is not large enough to accommodate all of the lobsters. Remove the lobsters, wrap each in aluminum foil, and let cool. Cut the lobsters in half down the back and remove the tail meat. Reserve the tail shells. Break off the claws and knuckles, crack the shells and remove the meat. Chop the meat into bite-size pieces. In a medium-size bowl, stir together the ingredients for the mango pico de gallo and set aside. In a medium-size mixing bowl, combine the lobster meat with the other ceviche ingredients. 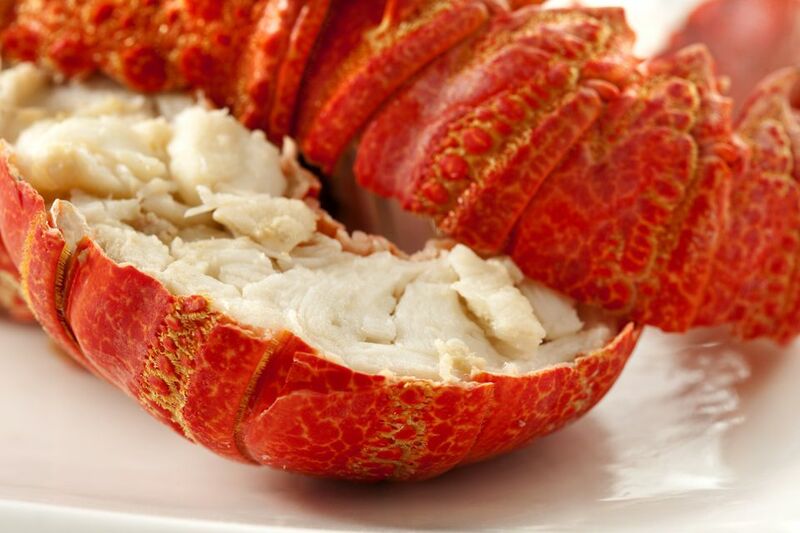 For an appetizer, put a ½ lobster tail shell in the center of each chilled plate, and fill with lobster. Garnish with mango pico de gallo and crispy fried green plantain chips, and serve. This recipe is reprinted with permission from the wonderful new modern Mexican cookbook, Mod Mex by Scott Linquist (Andrews McMeel 2007).